RoofSmart LLC is proud to be a long-time member of the Tucson business community, with many years of service to thousands of homeowners throughout Pima County. We’ve earned the trust of our neighbors, and we’d like to serve you too. We use only top-quality roofing materials that have already been well-proven in Tucson’s hot, sunny, and monsoon climate. And, we provide a comprehensive no-leak warranty on all our work. 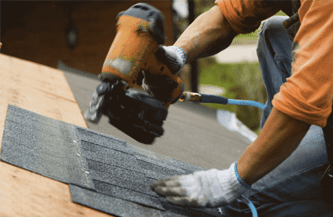 RoofSmart LLC services most types of roofing – shingles, tiles, built-up flat roofs, and polyester membrane roofs. We’re highly experienced, professional, and honest. Our roofing teams are the best in Tucson. We have the tools and experience to quickly and cleanly perform residential roofing jobs. RoofSmart focuses strictly on residential jobs, and we specialize in servicing the roof that protects your home. We offer discounts for seniors, military personnel (whether active duty, reserve or retired), and teachers (cannot be combined with other discounts). RoofSmart is licensed with the Arizona Registrar of Contractors (License 252046), and, of course, we’re bonded and fully insured. Whether you require roof repairs or roof maintenance, in most cases, we can help. Our roofing teams are highly skilled and experienced, and our prices are affordable. If you need quality roofing services, call RoofSmart LL today for a free evaluation.